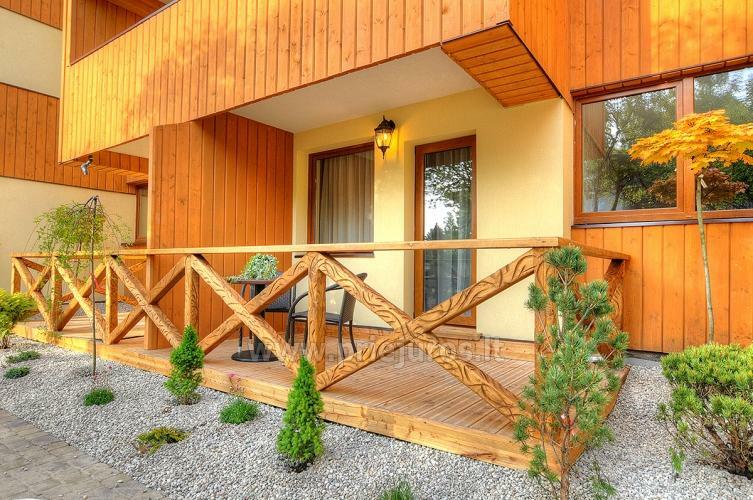 Guest house "Floros simfonija" invites you to rest in beautiful surrounding with waterfalls, fountains and bunnies on the roofs. For kids there is specially designed area. 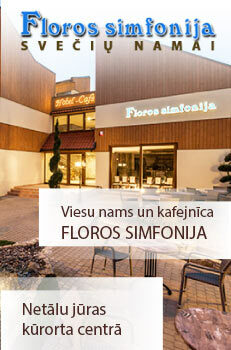 In cafe "Floros simfonija" you can taste tasty dishes and sip great wines. 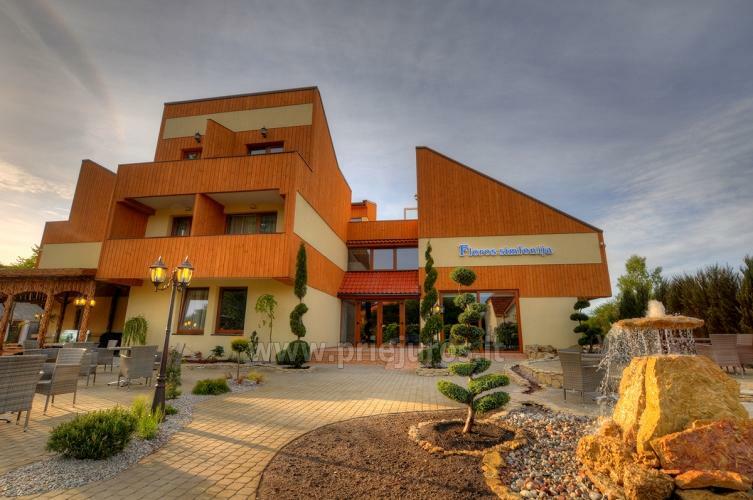 Economy class guest house "Floros simfonija" is close to the sea (400m), in the city center. 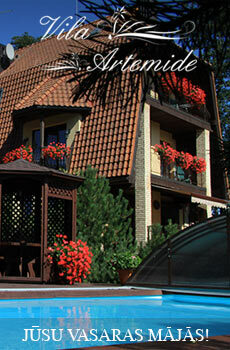 In the guest house" Floros simfonija" there are 50 rooms located on three floors. Most of the rooms have balconies or terraces. 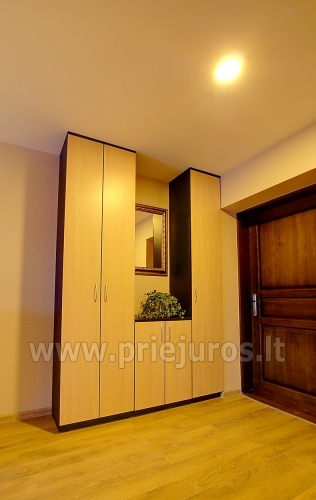 Double, triple, quadruple rooms with anteroom, toilet, shower and TV. Area 16 sq.m. Block. Two rooms with TV, entrance hall, toilet, shower (hygiene products, slippers, bathrobes), fridge, kettle. There can rest separate families. Area 34-48 sq.m. 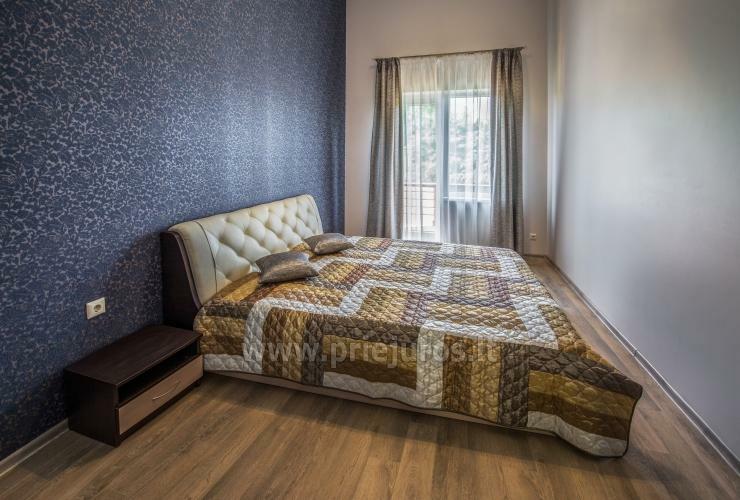 Luxury rooms - spacious bedroom with a sitting area. 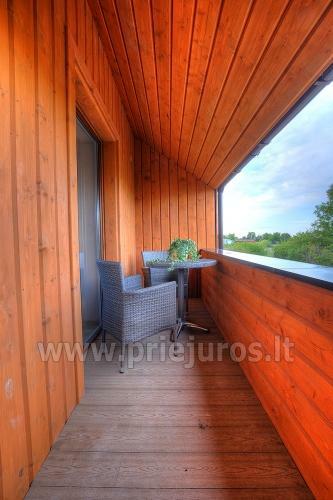 Area 30-36 sq.m. Apartments. Two spacious rooms with TV, WC (hygiene products, slippers, bathrobes), fridge, kettle. Area from 42 sq.m. 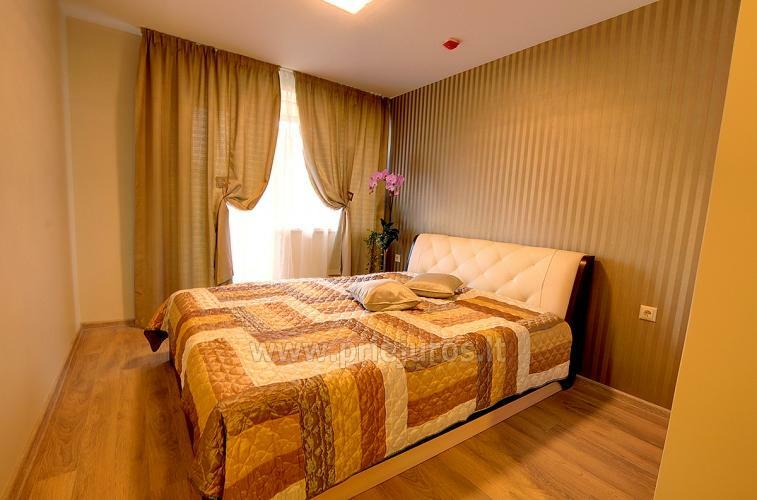 All rooms are newly furnished. The breakfast 6 EUR per person (breakfast in the room rate is not included). Prices may vary depending on availability. * Price for two persons. 2015. gada 01. 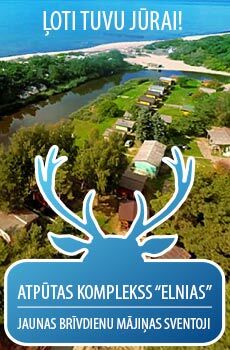 AugustsPatika nepiespiesta, brīva atmosfēra, ļoti labi atpūtai pie jūras,ideāla bērniem, lieliski saimnieki!